First losing first settled real money single bet £10+ at odds of EVS (Multiples each 2/5+) qualifies. 14 days to use on odds no greater than 4/1. Stake not included in returns. The maximum stake on this market is £25 and T&C's apply. New customers only. 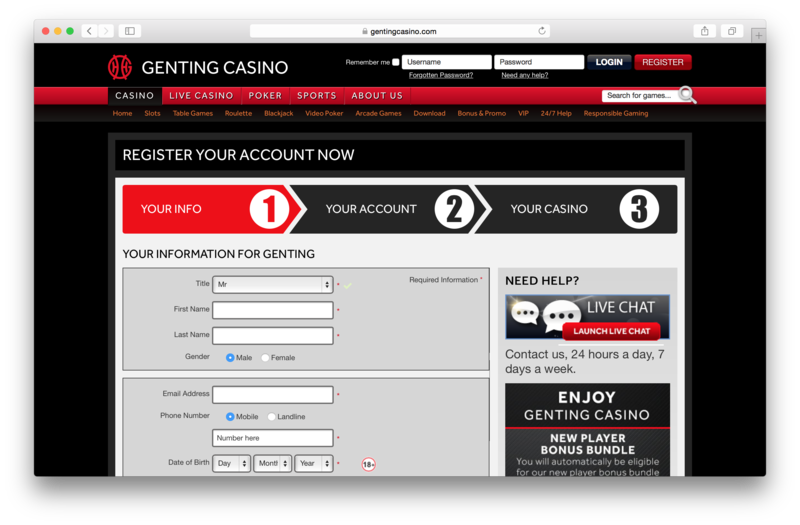 You must be aged over 18 to open a Genting Bet betting account. Looks like Genting Bet isn't promoting any special offers, right now. Check back soon! 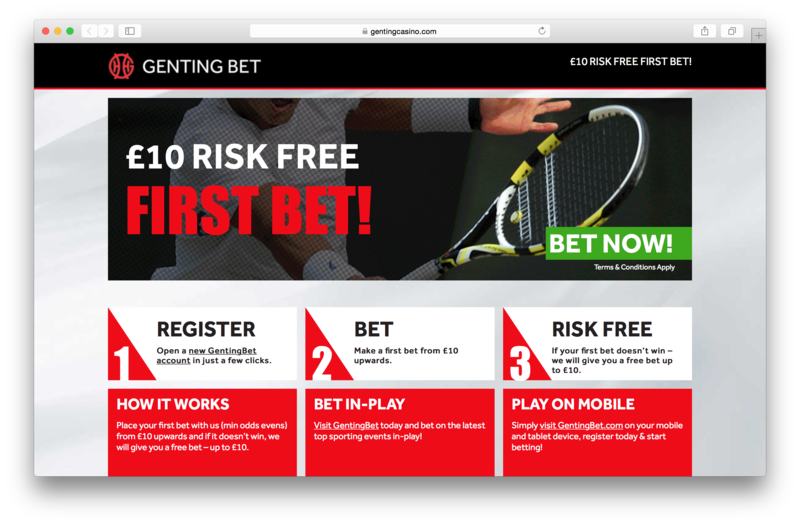 Joined Genting Bet and was surprised at the quality of service, however still prefer to bet with the bigger operators like Ladbrokes, Hills etc. Played the casino the end and have played at no better online. I like Genting and they are good to customers! 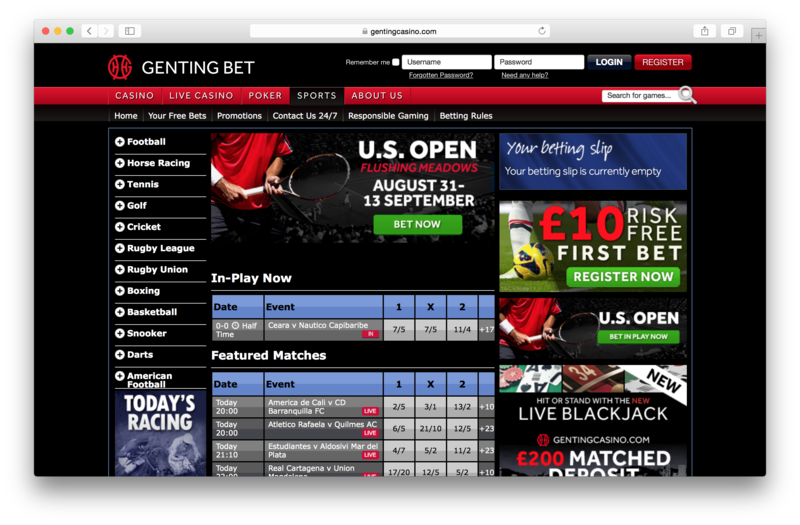 I found Genting Bet one of the best live betting Ive seen on bookies websites, can bet on loads of live sporting events and you calso get some perks for their local casinos too! Since trying out some more bookies out of curiosity, Genting Bet really surprised me. The site is pretty good looking and very easy to use. Doesn't seem to be as many markets as some others, but that's not necessarily a bad thing when you're only looking to place some quick bets. Most importantly, the free bet was credited as expected. Good stuff.